Calls to investigate £4.5 million extra spend on widening Fletton Parkway will not go away despite renewed approval for the scheme. A call-in had been put forward over a decision to agree to the additional cost following a string of complications such as soil contamination. However, the call-in was rejected by councillors on a scrutiny committee, meaning the decision by Peterborough City Council’s cabinet last month to approve the funding will go ahead. Councillors did agree that a report on how the council proceeds with large-scale projects should now be brought before them, with particular focus on the Fletton scheme. This, though, was not enough to placate the members who forced the call-in as they warned that their opposition is not over. The call-in over the decision was put forward by independent councillors David Harrington and Keith Sharp alongside Labour and Co-operative councillor Ed Murphy. Cllrs Harrington and Murphy confirmed after the meeting that they might now look to put forward a motion to a meeting of the full council. he motion would call for an investigation into how the scheme has been carried out and when it was discovered that the extra cost would be required. Full council next meets on March 4. The main problem over the £13.5 million scheme is the discovery of contaminated soil which requires an extra £1.38 million to remove. In addition, £550,000 is needed for carriageway maintenance and pot hole repair to lanes that remained open to traffic while widening work was being carried out plus diversion costs for Virgin Media services. During the call-in meeting tonight (Tuesday February 16) Cllr Harrington admitted he was not against spending the money but wanted to make sure the council would not make the same mistakes again. He said: “I accept the need for growth. However, we cannot have growth at any cost. “We should try and see a clear timeline of events as they emerged. “Initial surveys were carried out to required standards but were the appropriate surverys done? Cllr Harrington also queried the type of contract agreed by the council when it agreed to the widening project and whether a fixed-term contact could have been used instead. He added: “The cabinet report does not give me confidence that the council can manage these contracts. “It’s not a mistake, it’s an event. But we want answers as to why these events happen and this report does not go far enough. “The report indicates that things were going wrong very early on in this project. Cllr Murphy’s reasoning for the call-in was due to the cost going above what full council had agreed. He said: “Cabinet were fully aware early on. I believe the cabinet member should have reported this to the council through scrutiny. “Infrastructure projects are really important, but so is the process and transparency. 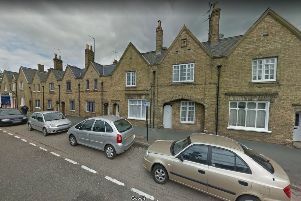 In response, Simon Machen, the council’s director of growth and regenaration, said the problems were highly unusual and that he could understand concerns. He added: “This keeps me up at night. We don’t want to be in this position. Noting that previous work on the parkway had not brought any complications, he said: “If we had seen other problems we could have done it differently. Mr Machen said a red flag had been raised in October over the parkway’s problems. He added that the contract agreed was standard in the industry. In addition, he confirmed that the council hopes to hear in June whether it has secured extra funding for the works. The extra money will be found from capital funds, such as £2.1 million of extra funding received towards improving Bourges Boulevard. Cllr Nick Thulbourn agreed that the scheme needed the extra funding. Once the call-in was rejected, Cllr Thulbourn and Cllr Sue Allen made a recommendation that a report should be brought before the scrutiny committee to outline the process of undertaking large projects, with a particular focus on Fletton Parkway. However, a frustrated Cllr Murphy said he would discuss with his colleagues whether to push on with a motion at full council for an investigation. Cllr Harrington also refused to rule out a motion at full council as the saga over the £4.5 million refuses to go away.